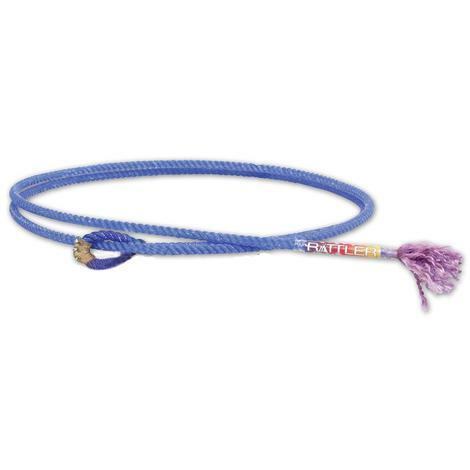 Rattler Rope has produced the first professional breakaway rope called the Spitfire. 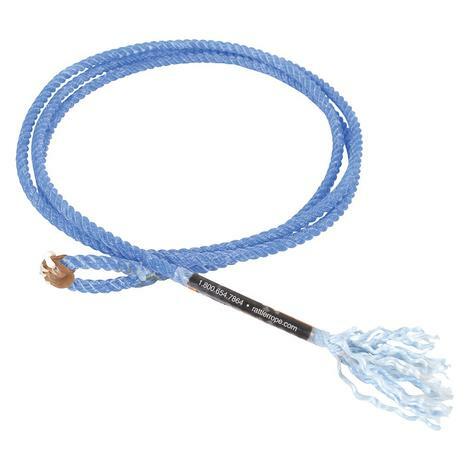 The new Spitfire utilizes a custom process of technologically advanced fibers to ensure reaching and roping the neck. 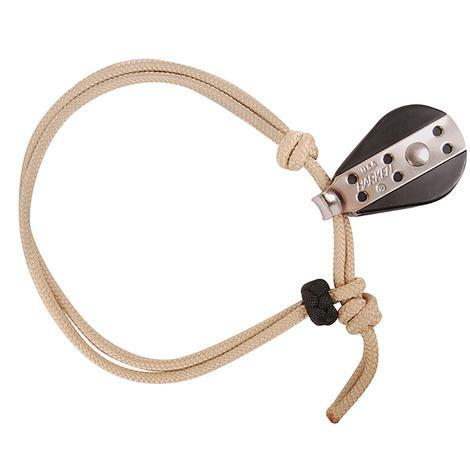 Your loop stays open and cinches the target sharp, fast, and tight. Incorporates an enhanced tip with weighted feel and an extremely smooth shell offering fast, easy feed. Cutting edge action for winning today's breakaway sport. 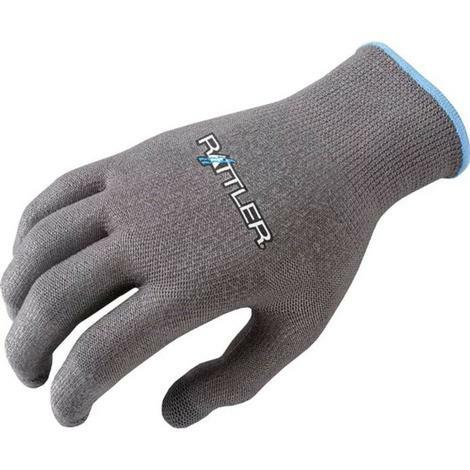 The Rattler HP Roping Glove is a superior alternative to traditional cotton gloves. Features a long lasting seamless construction that fits close. 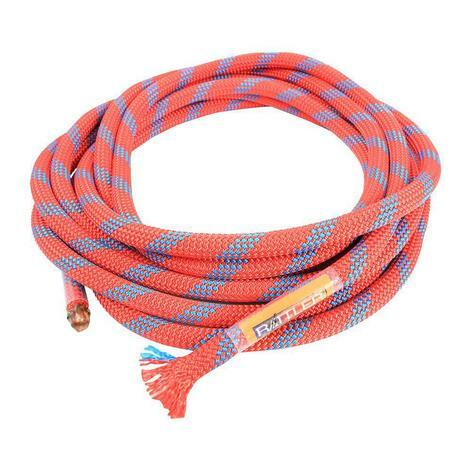 This rope is square braided and has adjustable knots and a sliding honda. 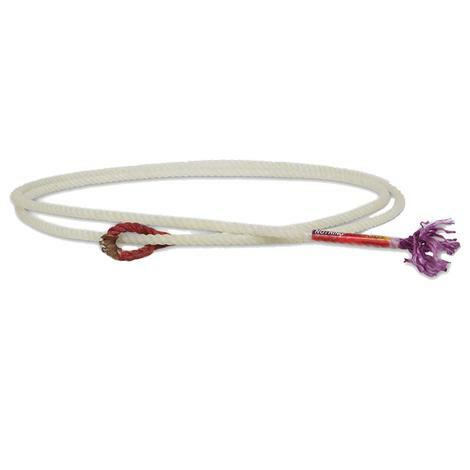 This Jerkline Pulley by Rattler is very durable and has an easy smooth pull, comes complete with 17" nylon cord with braided slip knot, to secure to saddle, works well for both training or at the show and will do it's job when you need it to. 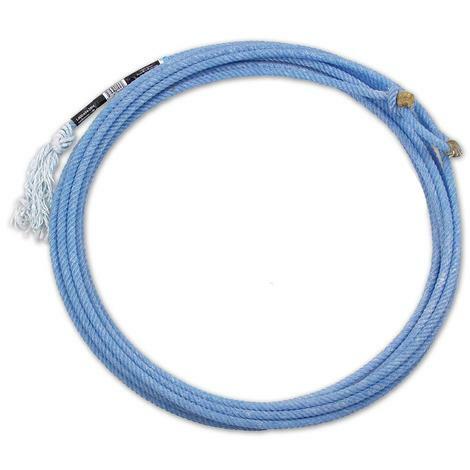 This 3-Ply calf roping jerkline are made with the same technology and care as Racer Piggin Strings, but designed by renowned clinician and champion goat Tyer Lynn Smith. 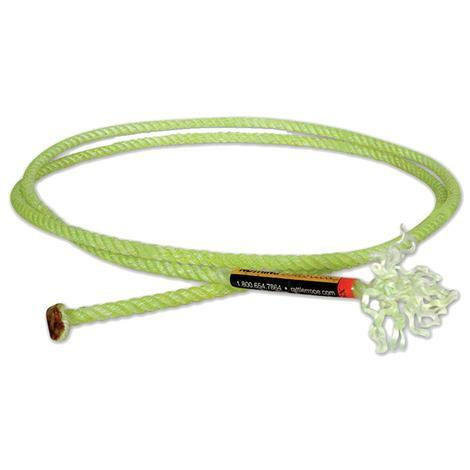 Viper five strand calf rope by Rattler Ropes. 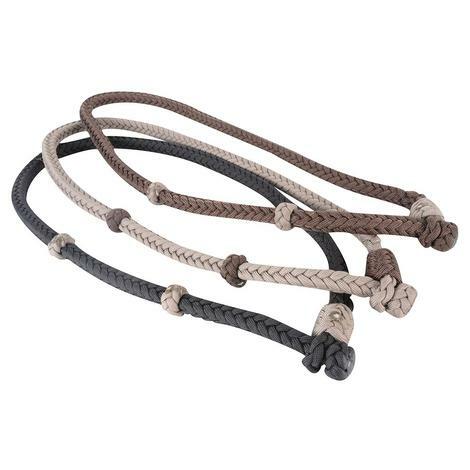 Made of five strand low stretch poly fibers woven around a solid braided core. The Striker delivers stability and a better balanced feel with a larger sweet spot in the loop. This means more clean, tight, fast catches. 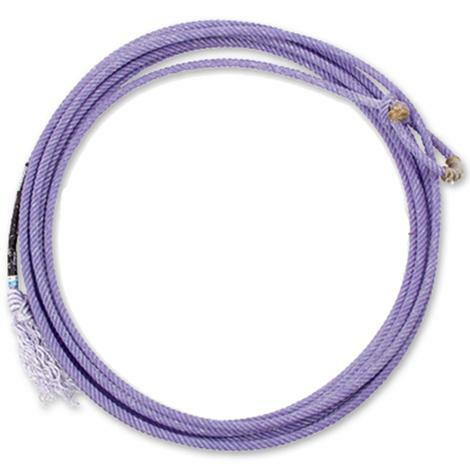 Patented four-strand construction with smaller crowns around the core makes this the fastest, smoothest calf rope ever made. The eye of every Racer™ string is constructed using a special process that keeps it from turning. 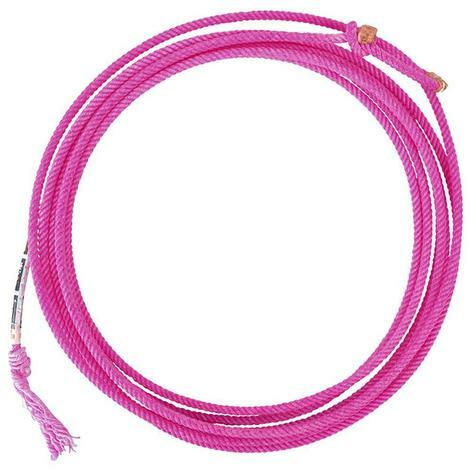 Perfect sized eyes, hand sewn rawhide burners, 100% nylon and treated with a specially formulated wax that penetrates deep into the string fibers and results in a super string that is fast, snappy and has a great feel. 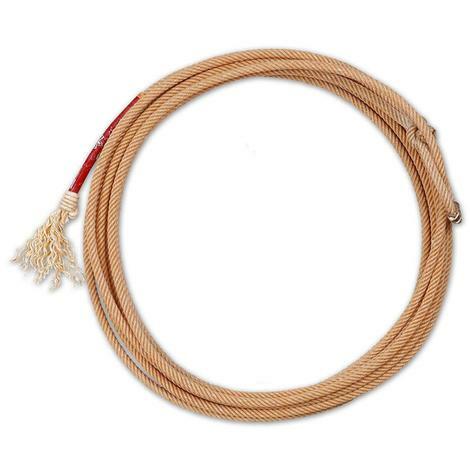 These 3-Ply Goat Strings and Boys’ Goat Strings are made with the same technology and care as Racer Piggin Strings, but designed by renowned clinician and champion goat tyer Lynn Smith. The eye of every Racer string is constructed using a special process that keeps it from turning. 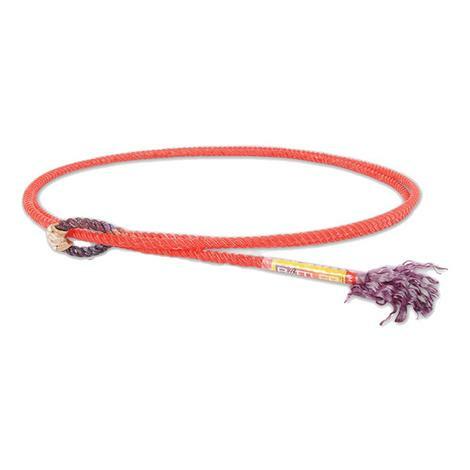 Perfect sized eyes, hand sewn rawhide burners, 100% nylon and treated with a specially formulated wax that penetrates deep into the string fibers and results in a super string that is fast, snappy and has a great feel. 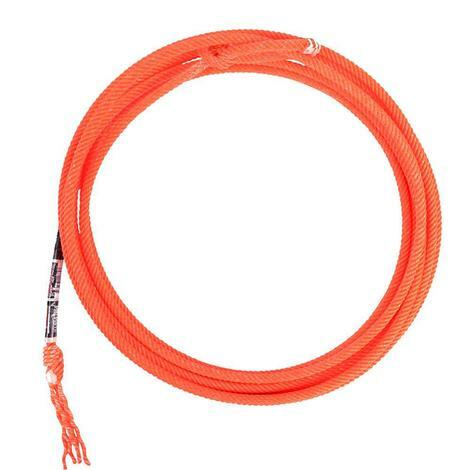 Can carry up to four ropes to keep them protected from the elements, waterproof, and can withstand extreme temperature changes. Features a convenient leather handle and an inside compartment for added storage. Virtually indestructible and fits carry on luggage requirements. Designed for aggressive roping styles, The Radar4’s diameter is smaller in size yet provides great tip feel and accelerated tip action. 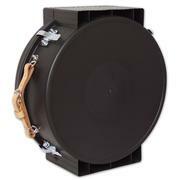 The Coretec™ core ensures more stability for greater loop control and high percentage catches. 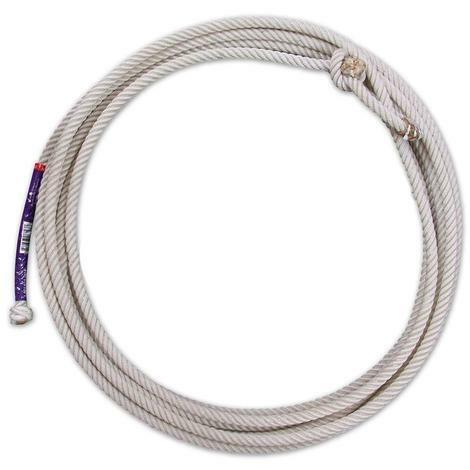 Rattler Ropes manufactures a full line of products designed for many different disciplines. 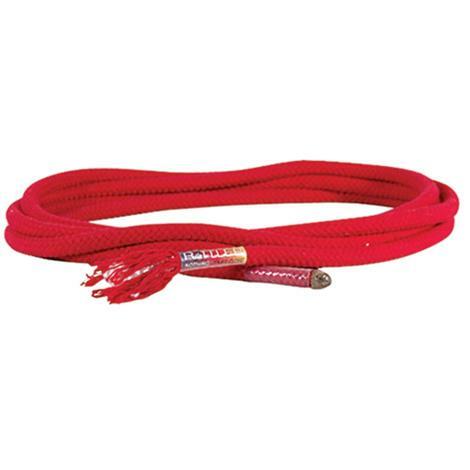 Whether goat tying, calf roping, breakaway roping, or team roping, Rattler has the perfect rope for you. 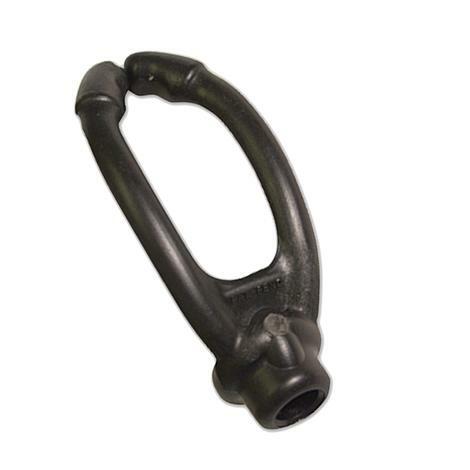 Rattler has a variety of well-known products including the Rattler Crossbred, Diamond Back, and Rainbow Rattler.